Here’s to radass women! Show your female pride with one of these fun natural and maroon ringer tees! Or gift one to the radass mom, sister, boss babe, aunt, cousin, coworker or cool lady in your life! They are unisex fit so guys can show their support as well, and the tees are super soft and comfy! The tees are high quality screen printed. 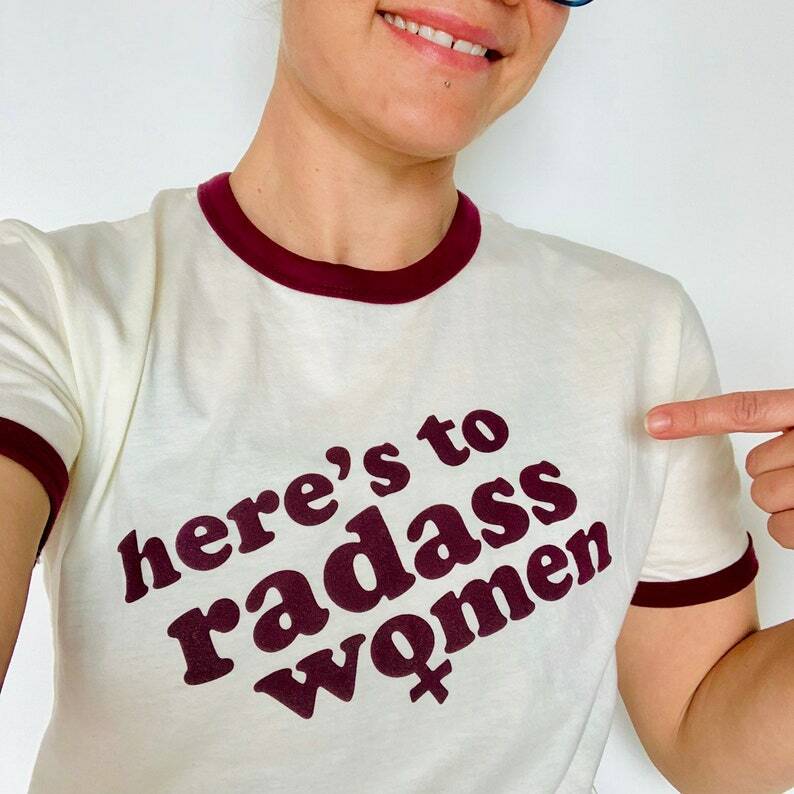 The front of the natural ringer features the text "here's to radass women" in a thick retro maroon font to match the maroon neck and sleeve ribbing. The back features the Oh Geez! 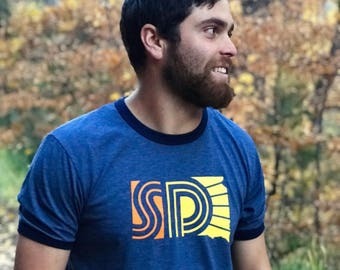 Design logo in maroon also. They are unisex/regular sizing and are available in sizes XS-2XL. Contact me for questions or measurements on any sizes. I would say that they fit true to size.